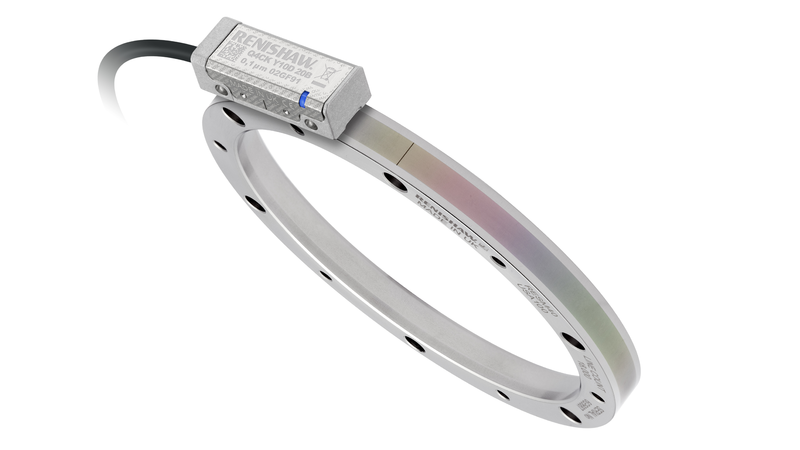 World-leading metrology company Renishaw has launched a rotary version of its QUANTiC™ linear optical incremental encoder featuring exceptionally wide installation and operating tolerances, in addition to enhanced diagnostics compatibility. QUANTiC readheads incorporate Renishaw’s well-established filtering optics that averages the contributions from many scale periods and effectively filters out non-periodic features such as dirt. Measurement signals are further enhanced by a range of electronic signal processing algorithms such as Auto Gain Control (AGC), Auto Offset Control (AOC) and Auto Balance Control (ABC). QUANTiC encoders also feature a third layer of signal filtering from a new detector design, which helps to eliminate non-harmonic signal frequencies that can occur due to contamination on the scale. These signal conditioning features combine to ensure low Sub-Divisional Error (SDE) and minimal signal variation over contamination. QUANTiC encoders will help to increase the throughput of high-volume production lines and offer potentially significant time and cost savings for OEM customers. The QUANTiC family has CE approval and is manufactured by Renishaw, using strict quality-controlled processes that are certified to ISO 9001:2008.